Not that Hallmark has made a big deal out of it -- and your office probably didn’t throw a party to celebrate -- but Monday was “Data Privacy Day,” a real thing powered by the National Cyber Security Alliance. Out of the digital deliverers that participated, Facebook took the greatest advantage of the opportunity by putting its game face on and unveiling a new Privacy and Data Use Business Hub. 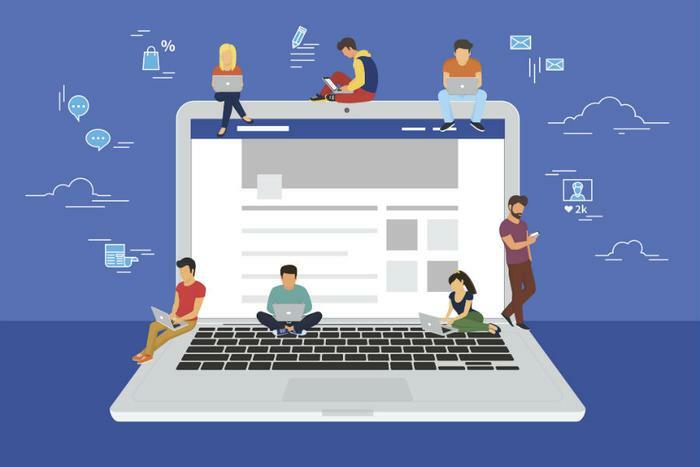 The new hub is built around resources businesses can use to guarantee that whatever they do on the Facebook platform is up to snuff and protects users’ privacy. Taking a cue from the Security Alliance’s mantras, Facebook gets as granular as possible in the transparency of its new self-imposed guidelines, all the way down to the code used in a macro process like when a business’ app is launched. “We believe that when people see an ad on Facebook it should be clear who it’s coming from,” the company wrote in its overview of the new hub. And trying to avoid gaffes like the one it made with Cambridge Analytica, Facebook says that ads related to politics will have to go through a stringent process before they are approved. “Before we authorize advertisers to run ads related to politics they must complete ad authorization and provide proof of ID and residency. Confirming the identity and residency of each person who creates ads that relate to politics helps us ensure authentic advertising and prevent foreign election interference,” the platform said. In addition to a reset of how Facebook’s advertisers need to honor users’ privacy settings, the company also sent out invitations to its flock to take part in a Privacy Checkup. It appears Facebook wants its members to know they can’t just assume their personal data is safe and is asking them to take an active role in what’s shared or collected. For example, did you know you can change your audience each time you post? That you may have made things like your hometown or birth date available to the whole world? Or that Facebook keeps tabs on how you may have logged into its platform through other websites, like ESPN? Yes to all of those -- and more -- all under the consumer’s control and reviewable in the privacy checkup. While “data privacy” and “Facebook” haven’t exactly been a matched pair in the last year, the company seems attentive to turn that around in 2019. It’s likely banking on its advertiser base to do its part by following the new guidelines. “Facebook is setting a higher bar for transparency of advertising related to politics and issues of national importance. We've already imposed new labeling and disclaimer requirements in the U.S., U.K., Brazil, and India, and we'll continue to roll out these changes globally through 2019,” the company said. Also high on Facebook’s 2019 to-do list has to be getting compliant with the General Data Protection Regulation (GDPR) and the California Consumer Privacy Act (CCPA). Both of those new safeguards give consumers enormous control over their personal data, and getting out of line can cost a company some serious money. Google recently found out just how serious when the French privacy watchdog CNIL (Commission nationale de l'informatique et des libertés) fined the company 50 million Euro for violating the GDPR. However, Data Privacy Day threw the kind of surprise party Apple would like to forget. Just as Cook tweeted “On this #DataPrivacyDay let us all insist on action and reform for vital privacy protections,” reports surfaced that Apple iPhones were causing the company some unexpected anxiety. When users make calls on the FaceTime app, they can hear the person on the other line before the recipient has agreed to accept the call.